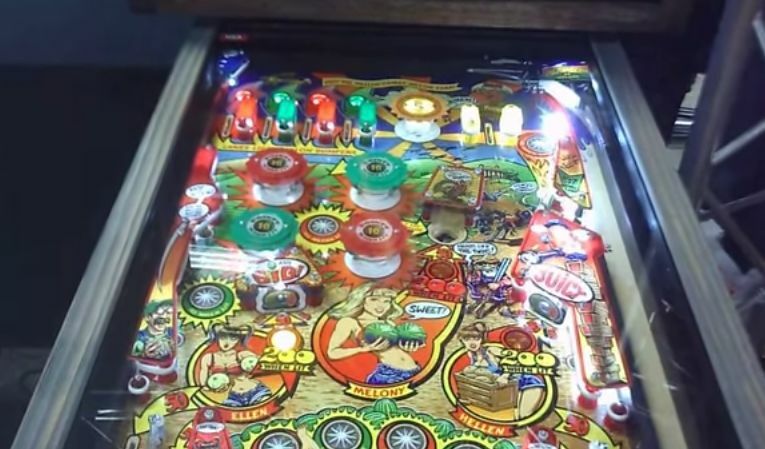 After trying the first person view with Jersey Jack’s The Hobbit pinball before the Pinfest Tournament Final, I decided to try Whoa Nellie after the tournament was over. The video is a bit long, but I think you will get the idea of the game within the first few minutes. As in the Hobbit video, the camera view is a bit higher than what I am looking at. Also I’ve made some edits in places where I forgot I was wearing the glasses again and was shaking my head too much. I played two complete games. The first one you see is actually the second game I played where you can hear the sounds and call outs more clearly. I also played a two-player game which you can see later on in the video if you’d like. The rule set of this game could be spelled out in less than a paragraph. That’s not necessarily a bad thing. Game rules don’t need to be deep to make a game fun to play. Especially if Stern are looking to reel in casual players who aren’t interested in or don’t know about wizard modes, stacking and so forth. However, this hybrid electro-mechanical (EM)/solid-state/new game is listed at $6,499.00. Did I have $6,499.00 worth of fun? Not really. Although, if I had that kind of disposable income available, I don’t think I would buy this game anyway. I would rather buy Star Trek Premium, Tron: Legacy, Spider-man, or a group of EMs and/or early solid state games. So, I suppose that statement doesn’t mean much. Do I have a dot-matrix display bias? I don’t think so. 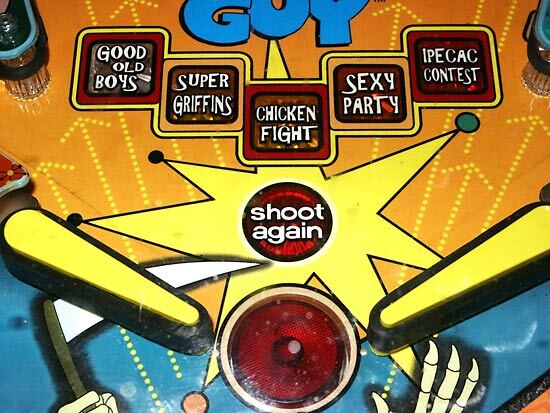 Here’s a short, incomplete list of early solid state games that I would like to see remade by Stern Pinball: Quicksilver, Seawitch, Big Game, Meteor, Cheetah, and that’s before I even look on IPDB. However, I hope this release does not set a price precedent should Stern ever decide to produce any classic re-releases in the future. In a fantasy pinball universe, I’d love to see those games I’ve mentioned remade by Stern, but I don’t believe those games would sell if they had to list for $6,499.00. How much was Stern’s “The Pin” when it was released? (Internet search says, $2,499.00) As an abbreviated pinball game, it was a solid looking product. I figured Whoa Nellie, a new game masquerading as an EM, would come out in that price range. I think if it did list at a sub $3,000.00 price, Stern wouldn’t have been able to produce the games fast enough for the burgeoning casual pinball market, and I could start dreaming of a remade Nine Ball or something similar at that price. 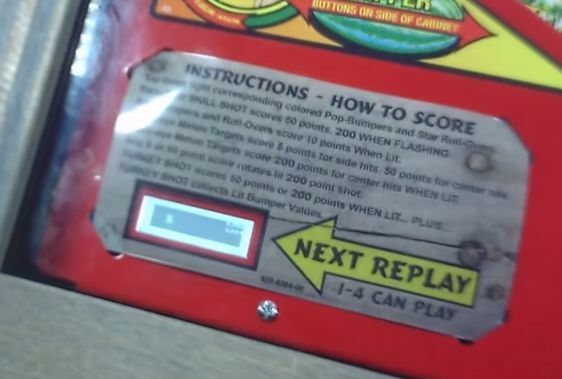 This is the screen that shows the scores of up to 4 players. Let’s look at things at a smaller scale. How much would you pay to play this game on route? $1.00, 3 for $2.00? Maybe 50 cents or 75 cents per game? At a purchase price of $6,499.00, the per game price would have to be closer to the $1.00 per game range. Although I played a couple of relatively long games, I don’t think I had $1.00 worth of enjoyment. There are quite a few difficult, house-ball prone EM games that would get my dollars over this one. In fact, while playing this game I distinctly remember thinking that I’d rather be playing Grand Prix. If you have seen this game on route, I am interested in how much it costs per game. If this game were by itself, on route in a bar atmosphere, I can see this game earning money just through the osmosis of it being in a bar. $1.00 per game might work in that case. However, if there were other gaming options next to this game, I could imagine the newness of Whoa Nellie wearing off pretty quickly. Well, at least I can say I’ve played it now. I wish I could say I enjoyed it more. I don’t see myself playing this very often unless it shows up in some sort of tournament. Speaking of which, if this game is being considered for tournament use, would it be classified as a “Modern Stern” only, or could we see this in a Classics bank because of its playfield and overall appearance? That’s all I’ve got for now. I hope you enjoy the video. I think I’ll be doing these more often as I get used to filming gameplay with these camera glasses. Maybe I’ll do some first person commentary on Star Trek Premium.